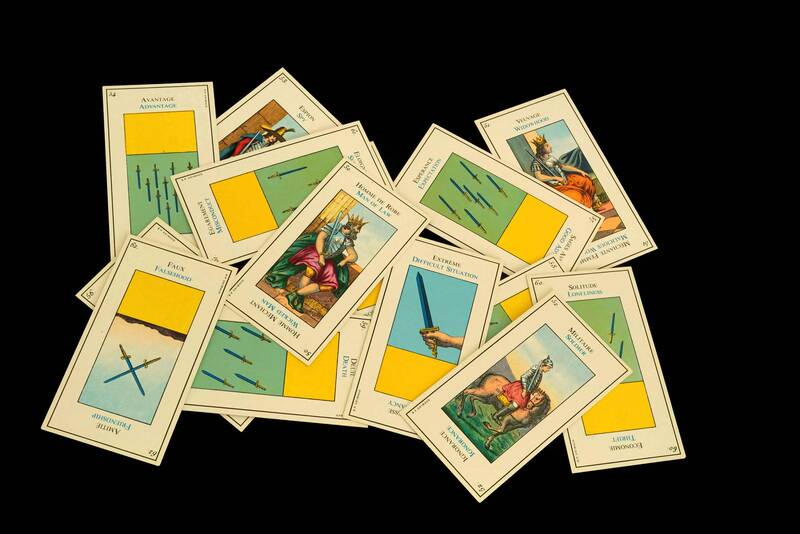 A wonderful vintage French edition of the famous Grand Etteilla Tarot deck of prophecy cards. 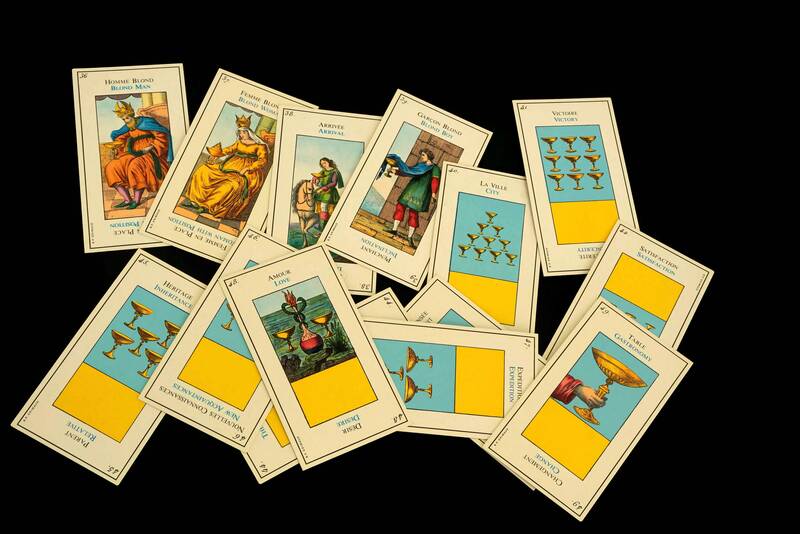 They are known in English as Egyptian Gypsies Tarot. 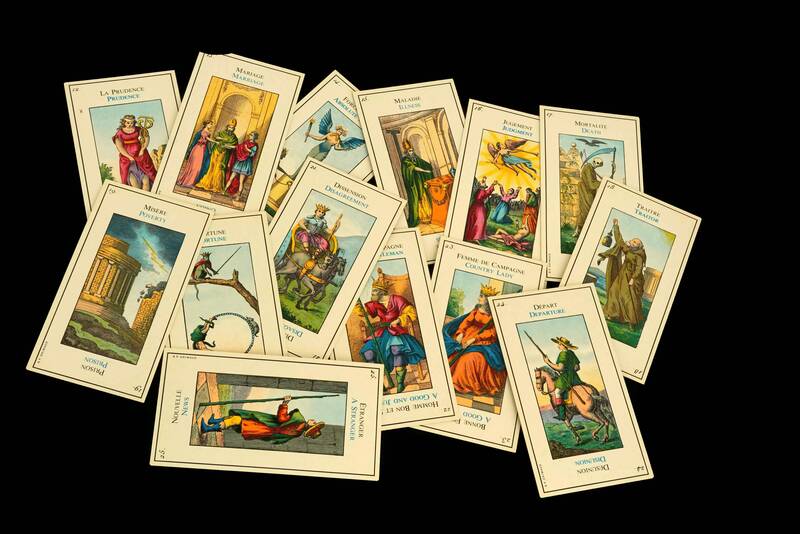 The deck of fortune telling cards includes 78 full colour printed cards. 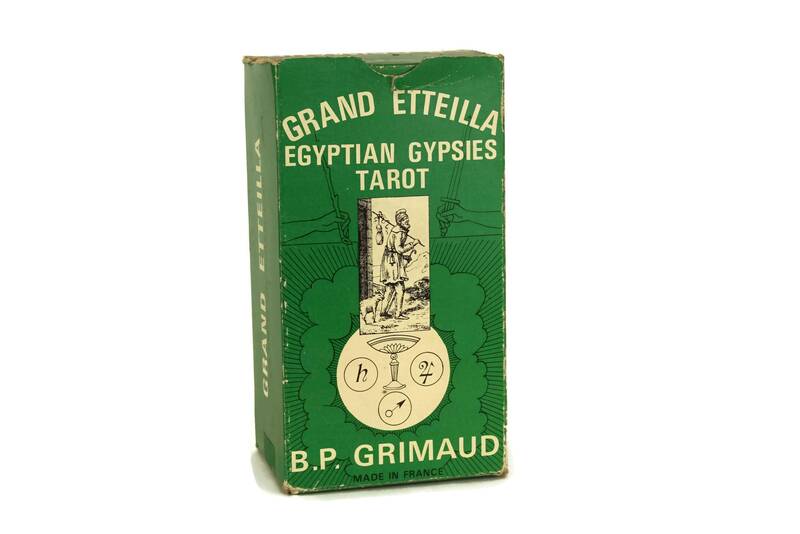 They were published by the famous French company B P Grimaud and come in their original box. 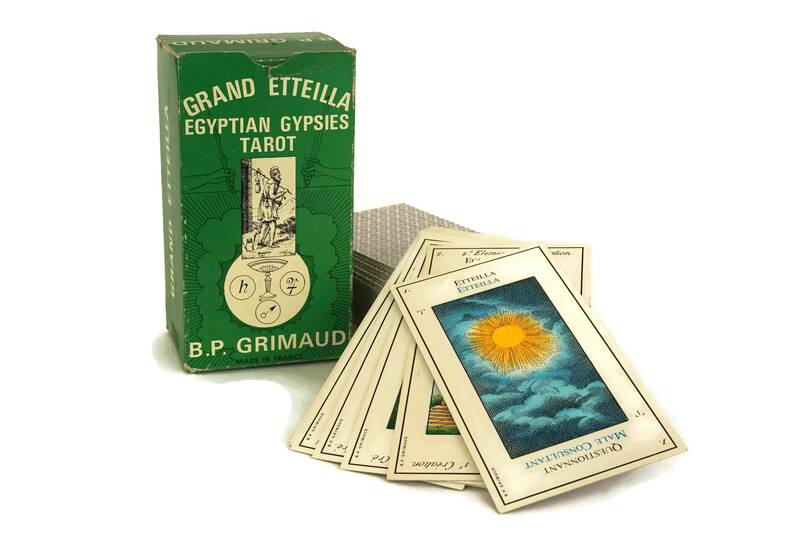 The Grand Etteilla is a very ancient tarot created and played by the Ancients, Egyptians and Gypsies in the middle ages, also refered to in the Cabala. 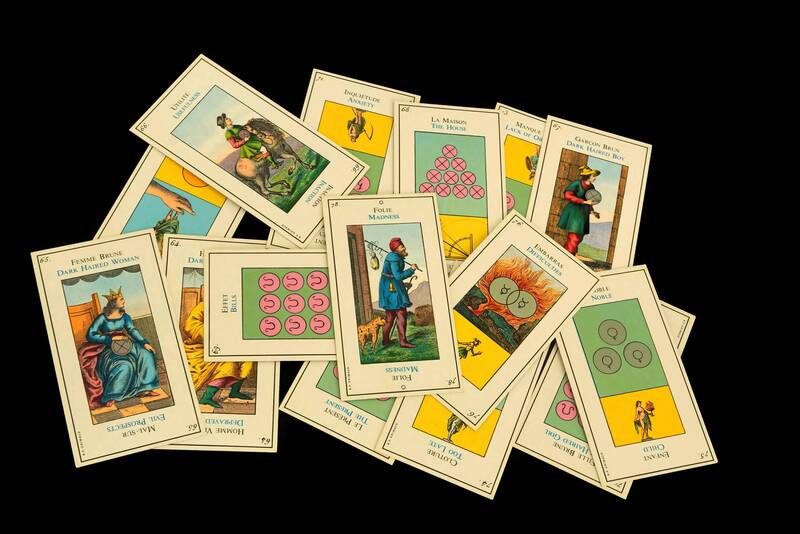 Every card has its meaning from the "Evangelic Card" to the "Snake Card". 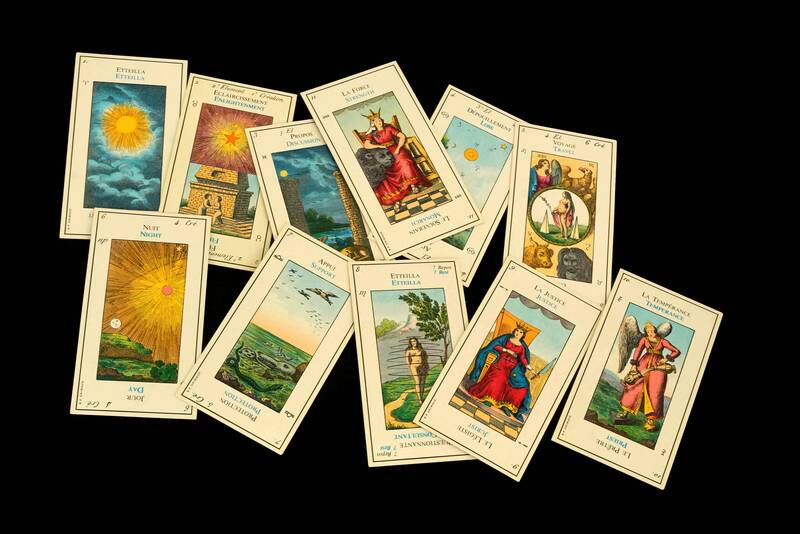 It consists of 78 color lithography cards with a total of 118 figures for interpretation of occult Science and Symbolism. This version includes English translations alongside the original French. 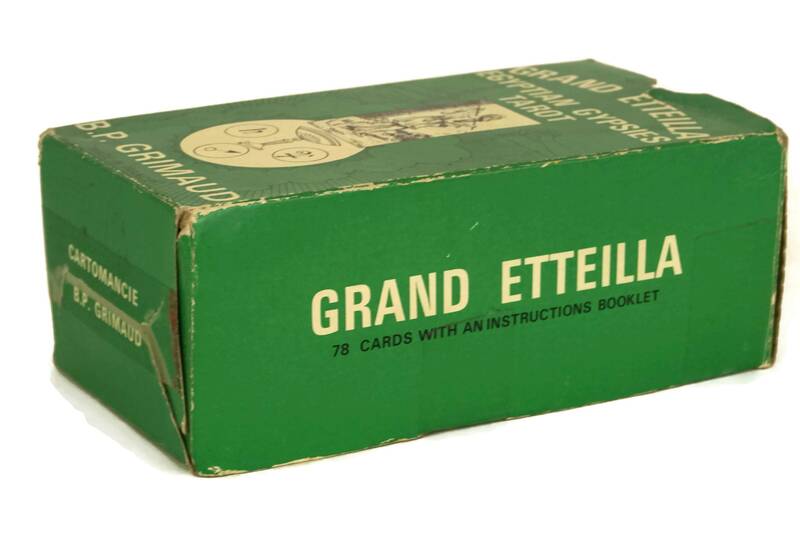 For the practitioner, the student, or even the simply curious The Grand Etteilla offers an authoritative guide to the fascinating subject of telling the future through the stars and the cards. The deck has been used and is a vintage item. The original instruction booklet has been lost. 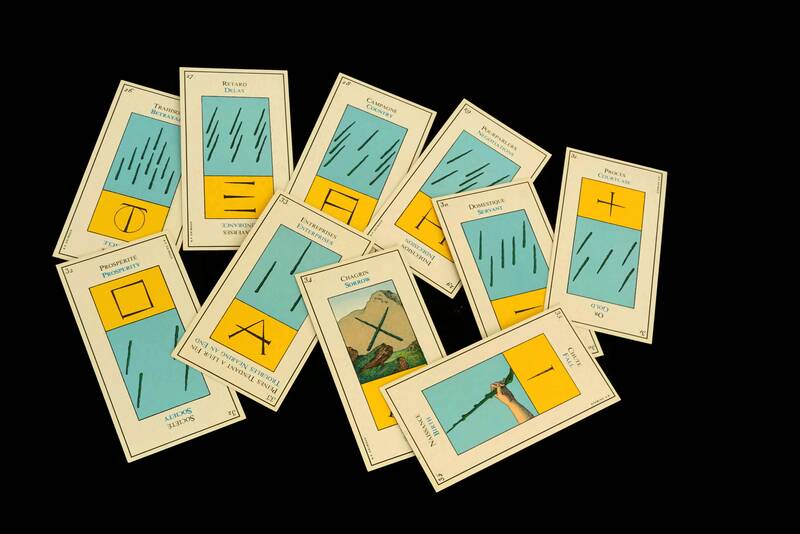 Each card measures approximately 12 cm Tall x 6,5 cm Wide. The deck is in very good condition with some light signs of use and wear. The box is worn and has tears and repairs in places. 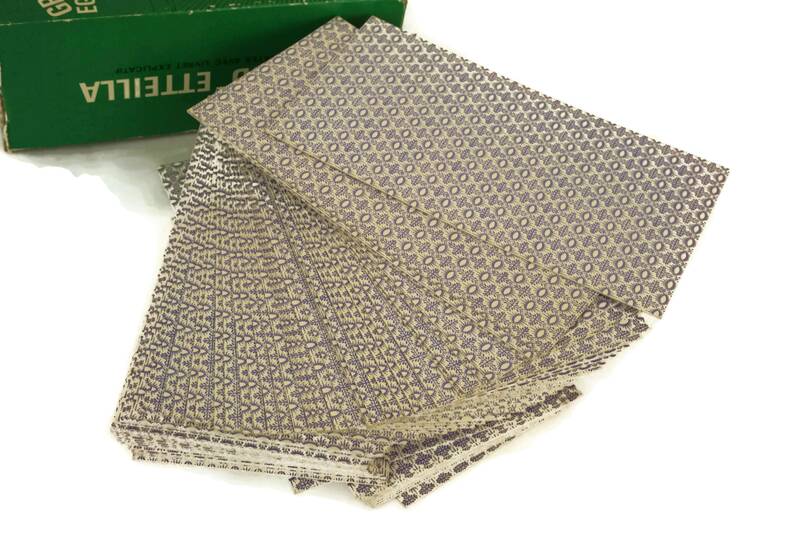 Nice deck of cards in good condition.